I liked Alice Springs, but it was when I reached Ayers Rock, or Uluru, that I began to fall in love with Australia’s Red Centre. It wasn’t just the Rock; there was something about the soft, red earth, the wildflowers and wildlife, the air and sky, the emptiness and openness that captivated me. 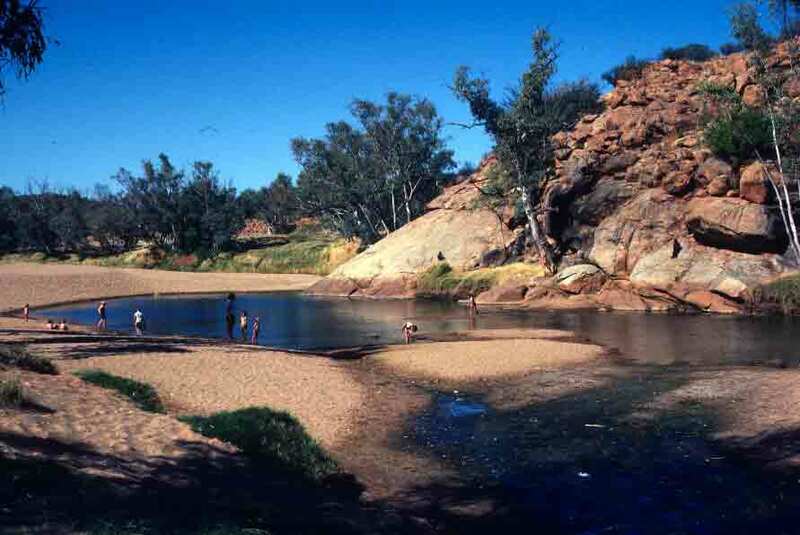 It made me think of a line from D. H. Lawrence, who wrote that Australia possessed a “strange, as it were, invisible beauty…a sense of subtle, remote, formless beauty more poignant than anything ever experienced before.” This was where my love affair with the Outback began. 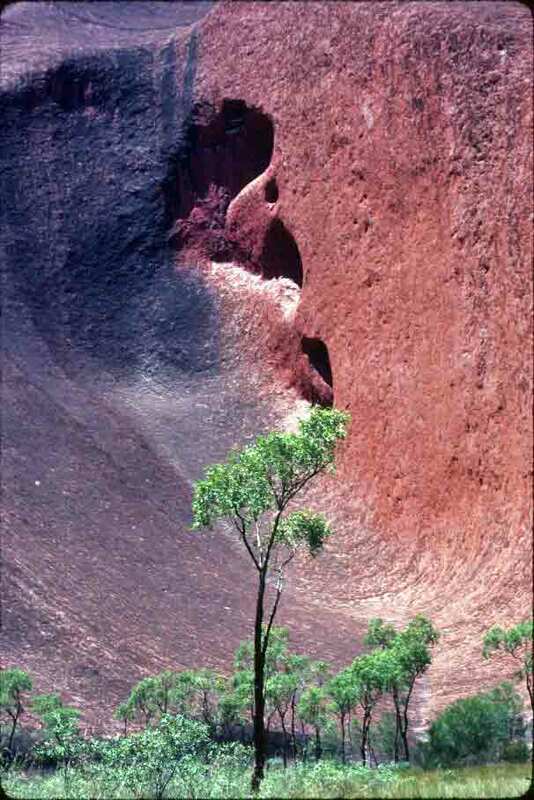 And at the center of that wild landscape was Uluru, the towering monolith that is almost a symbol of the Centre. Most photos of Ayers Rock show it from a distance, which has the advantage of showing its isolation and the lovely color changes at sunset. But closer up, the Rock’s size and dynamic nature (creating its own wind storms and ecology) are better appreciated. The photo below is my favorite of the many photos I’ve taken of Uluru, as I think it communicates something of the impressiveness of the monolith. The galah (accent on the second syllable) is a species of cockatoo that I saw almost everywhere I went in Australia. They are in fact the most numerous and widespread of Australia’s cockatoos. Galahs sport rather handsome pink and gray plumage, as you can see below. 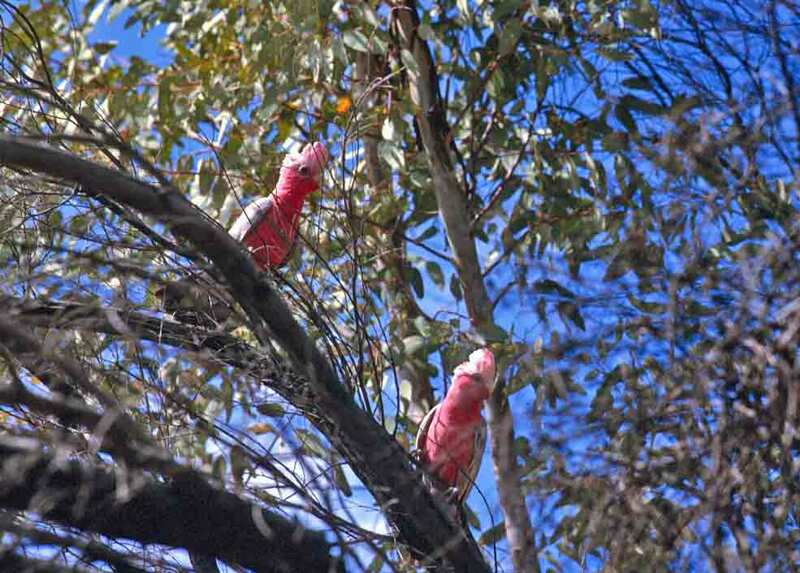 One may see just a few galahs at a time, but more often, they are seen in large, noisy flocks. The almost constant chatter of a large group of galahs gave rise to a common Australian term for a talkfest: a galah session. Galahs mate for life and share all tasks, from defending the nest to incubating and feeding the young. I photographed these galahs just south of the MacDonnell Ranges outside Alice Springs. 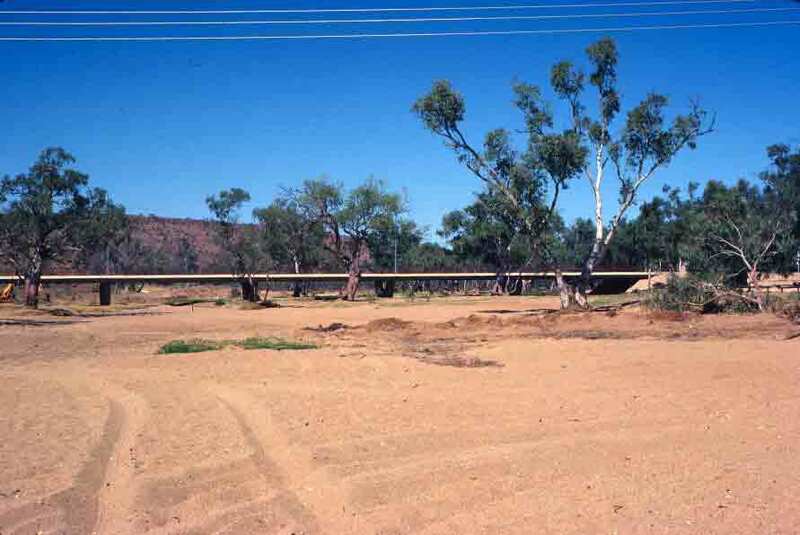 The history of Alice Springs really begins with the stringing of telegraph lines from Adelaide to Darwin. Here’s the telegraph station, built near the spring named Alice, that formed the heart of the little community that would begin to grow in this area. Actually, there’s a fair bit more info about this telegraph station in a post I made back in March. 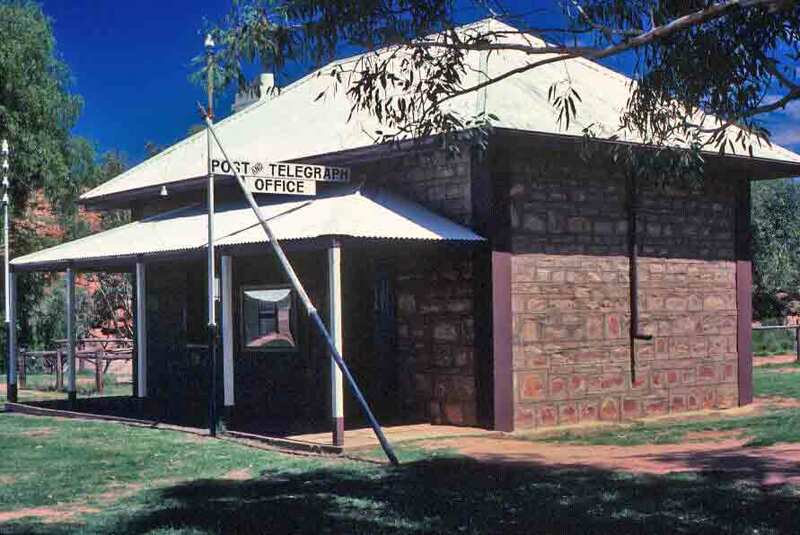 It includes a brief excerpt from the book relating the history of the Old Telegraph Station at Alice Springs. This weekend, I broke my wrist, so I’m reduced to typing with one hand. Hence, for the next few weeks, posts will be short and may even be reduced to photos only for a while. If you miss reading my deathless prose, then perhaps my book will fill the gap. Once the cast comes off, I’ll return to writing longer posts. But red isn’t the only thing that can be said about the land around Alice Springs. It’s also ancient, with worn-down mountains that look like those illustrations in the Time-Life books about our planet, where you can see the rock plates pushing up through the earth. Wonderful stuff. And it’s dry. Everything that isn’t red is brown or gold. But it works. For me, it was the next big step away from what I had always known. I’d been to Florida, California, and Hawaii, so Queensland wasn’t a huge stretch—well, except for that part about quitting my job to come. But the Outback—that was going to be the place where things really changed. My first day, I wandered around town, getting my bearings, figuring out what there was to see, exploring. At one point, I strode out into the middle of the Todd River. No worries about getting wet, however, as the Todd rarely contains water. The photo below was taken while I stood close to the center of the river. As the bridge in the photo suggests, water appears at times, but not often. The real water reserves in this region lie far underground.